This has been one of the prettiest springs here in Central Alabama. Our hydrangeas are so pretty! In February, I became ill with a nasty flu, which led to some other awful discoveries that entailed surgery. But our eldest daughter had to have surgery first, so I helped her once she finished her first year of grad school in early May. Then it was my turn for surgery last week. I'm so happy that so far all my pathology has come back negative for cancer. It has been a scary time around here! Most of you know that I've been homeschooling Shelley for the past couple of years, and this is her senior year of high school. Her favorite subject this year has been art history, so I decided to take her and the rest of the family on a field trip to Chicago to see the van Gogh bedrooms exhibit. We had an amazing time, and I hope to share our trip with you soon in a future post. We're Cubbies fans so one of the highlights of our trip to Chicago was watching the Cubs play in Wrigley Field. We went on a second field trip to the Alabama Shakespeare Festival to see my favorite comedy, A Midsummer Night's Dream. Shelley studied many of his tragedies and sonnets this semester, and she was a real trooper to add another play not included in her curriculum. We had a great time, and I'm always blown away by the talent in Montgomery at the festival. 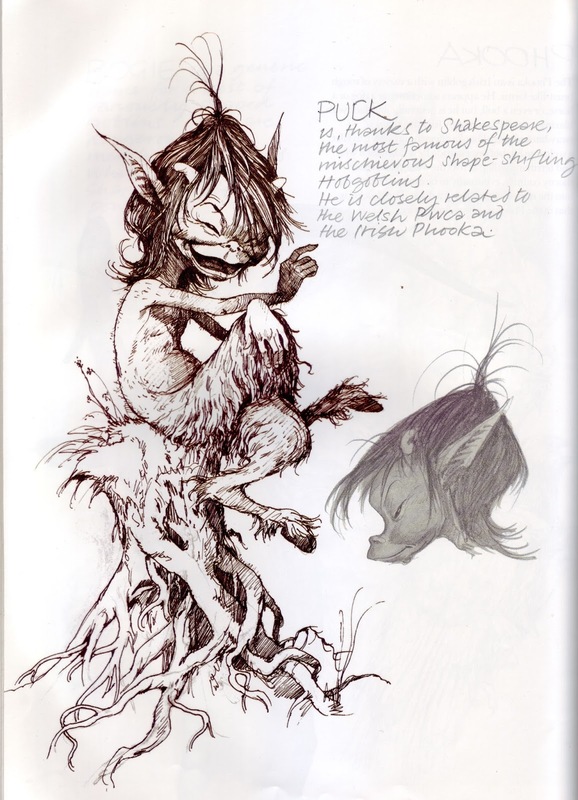 The young man who played Puck was amazing! We worked very hard to finish her schooling by May 20th because I had surgery the following Wednesday. I am proud of Shelley's hard work in school, by the way. She also had to complete paperwork and a tryout video for her college's equestrian team. She mailed everything in before May 20th, and I completed all of her academic paperwork on the 20th. We celebrated that night with a barbecue with family and friends. 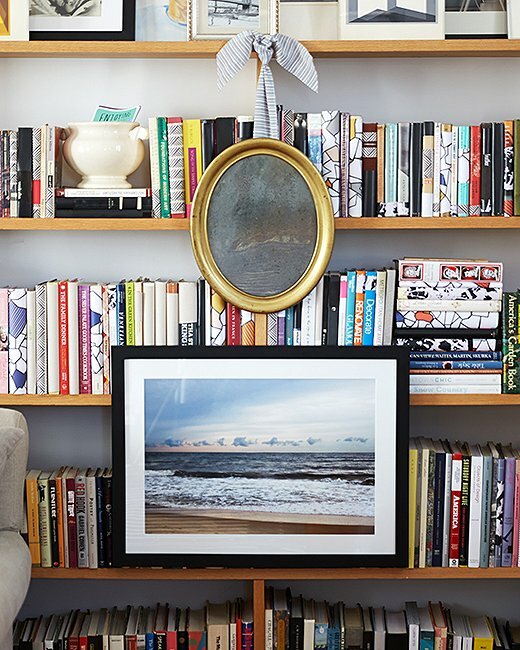 I love how these bookshelves are styled with the art and mirror hanging on the outside. I found this project on the One King's Lane blog. I will return Friday with a special Literary Friday post, but I probably won't host a link party until I'm better. I'm so glad you are ok!! After my scare last year I know that sometimes these things take time. Sending you hugs. I am glad everything looks good so far. 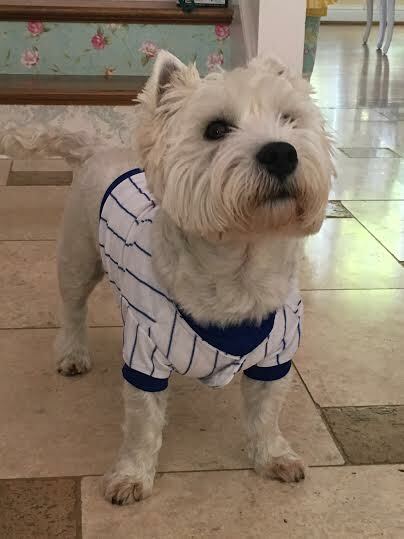 I never knew you all were Cubbie Fans. We love them here in our house too, if you haven't read my post before. Our vacation we plan to head up to Wisconsin but stop one night in Milwaukee to watch the two teams play, then about a week later in Chicago to watch a game or two. Iowa City has a Shakespeare Theater. I have never been to any of the plays in the outside theater and have always wanted too. I am so happy for you and Shelley with completing her Senior Year. I hope your family has a healing Summer. RJ, so glad you and your daughter have your surgeries behind you. And yes, you have been a busy gal. The trip to Chicago sounds delightful, so glad you could fit it into your schedule. I know it was a special year for you and Shelley and the graduation party looks table looks so pretty. 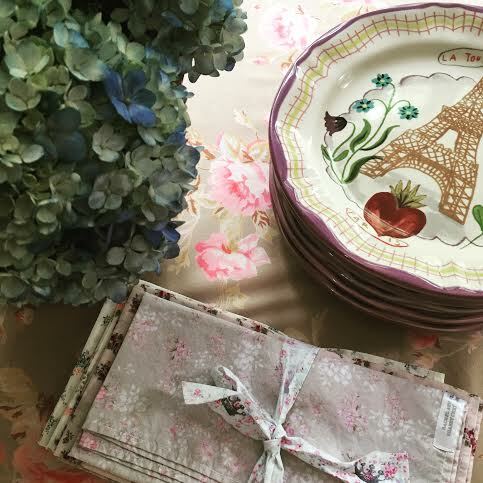 You know I am drooling over those plates from one of our favorites shops. You need this now for you, take care and get well soon. We will plan lucy when you are better………. So glad that your health news was good and I hope your healing is rapid. What a wonderful field trip! I have missed you, and I thought you were just traveling. At least I was half right. I am glad everything seems to be getting better, and you definitely need to take care of yourself. I am so glad to see you! Sounds as if you've had a lot to deal with so far this year, glad to hear you're better now, have a wonderful summer dear Ricki Jill. P.S. 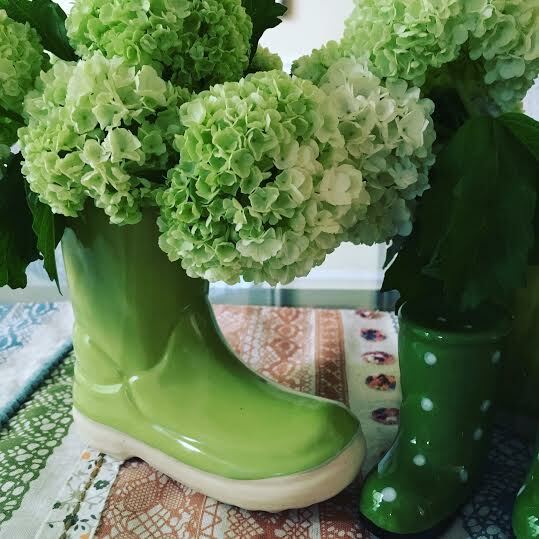 love your green hydrangeas in the Wellington boot vases, so original! I missed you! I will pray you will be 100% soon. I am so happy your trip to Chicago went well. I hope you continue to heal beautifully and to have a happy June taking care of you :) That Chicago trip and seeing a Shakespeare play in Montgomery with your daughter sounded fun. Oh P.S. I must tell you I love the green hydrangeas in the green boot vase. I can't wait to see the results of Shelley's hard work, and I hope she gets accepted right away! I'm curious, now that Shelley has read (and seen) so much Shakespeare- what's her favorite so far?